Mystic Drawbridge, Mystic, Conn. (photo by Joan H.) Click photo to enlarge. We often don’t think of drawbridges as the most exciting travel attraction, but the Mystic Drawbridge in Mystic, Conn., majestically rises above the norm. 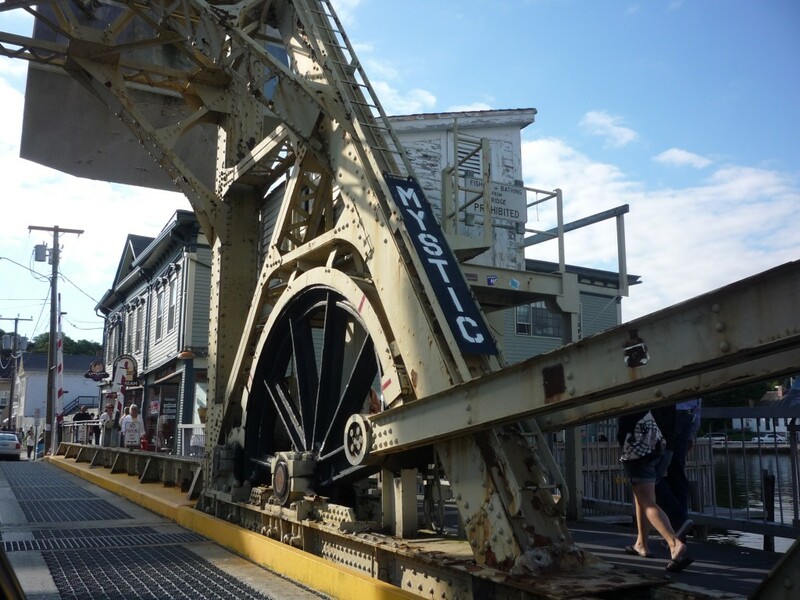 Located at the gateway of downtown Mystic, the 21 ft. long Mystic Drawbridge never fails to bring about crowds with its counter weight of 230 tons each and moveable span length of 85 ft. In plain English, that means the moving parts are really heavy and the overall size of the operating elements of the bridge mammoth! With 2,200 openings a year, you’re sure to see this spectacular drawbridge in action at this famous, free travel attraction. Personally — and speaking for a lot of people — I could watch the drawbridge go up and down, over and over again. What a sight! And perhaps the best part of it is that Mystic Drawbridge Ice Cream Parlor is right at the drawbridge (and with a narrow outdoor porch with views of the bridge), offering truly homemade ice cream, as well as salads sandwiches, paninis, wraps, pastries and baked goods and coffee. Our ice cream favorite flavor is the lemon chocolate kiss. 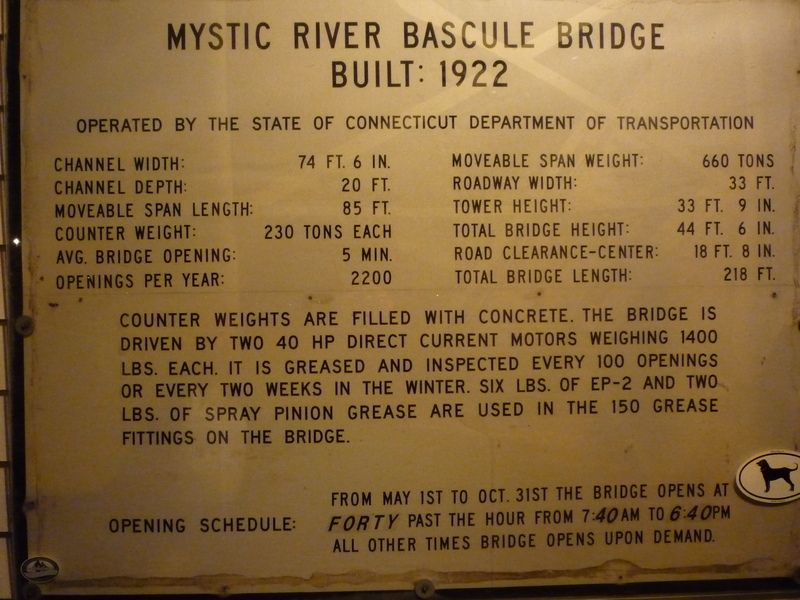 But we digress… GO SEE THE DRAWBRIDGE FIRST! Mystic just isn’t about the drawbridge (and ice cream) — it’s a fun coastal town with lots of fun things to do. 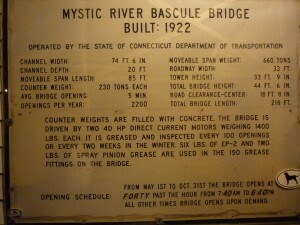 To learn more about Mystic, log onto the VisitingNewEngland.com Mystic Travel Page.